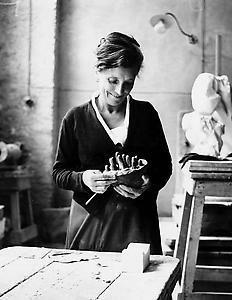 Internationally renowned artist, Louise Bourgeois, was born in Paris in 1911. Although she lived in New York from 1938 until her death in 2010, much of her inspiration was derived from her early childhood in France. The family’s prosperous business was the restoration and resale of seventeenth and eighteenth-century tapestries. She often spoke of her early, emotionally conflicted family life; her practical and affectionate mother, who was an invalid and her father’s domineering disposition, as well as his marital infidelities. Using the body as a primary form, Bourgeois explored the full range of the human condition. From poetic drawings to room size installations, she was able to give her fears a physical form in order to exorcise them. Memories, love and abandonment are the core of her complex body of work. Bourgeois was named Officer of the Order of Arts and Letters by the French minister of culture in 1983. Other honors included the Grand Prix National de Sculpture from the French government in 1991; the National Medal of Arts, presented to her by President Bill Clinton in 1997; the first lifetime achievement award from the International Sculpture Center in Washington D.C,; and election as a fellow of the American Academy of Arts and Sciences. In 1993 she was chosen to represent the United States at the Venice Biennale. 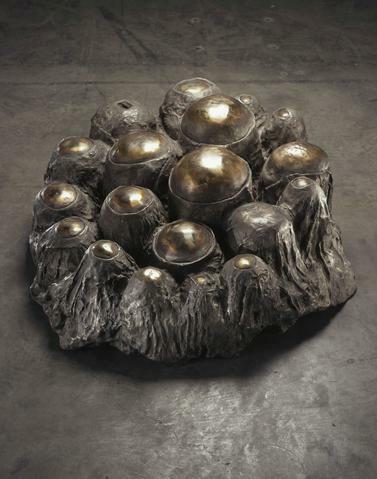 Louise Bourgeois's work appears in the most important museum collections worldwide and has been the subject of several major traveling retrospectives organized by the Tate Modern, London, Centre Georges Pompidou, Paris, The Brooklyn Museum and The Kunstverein, Frankfurt.